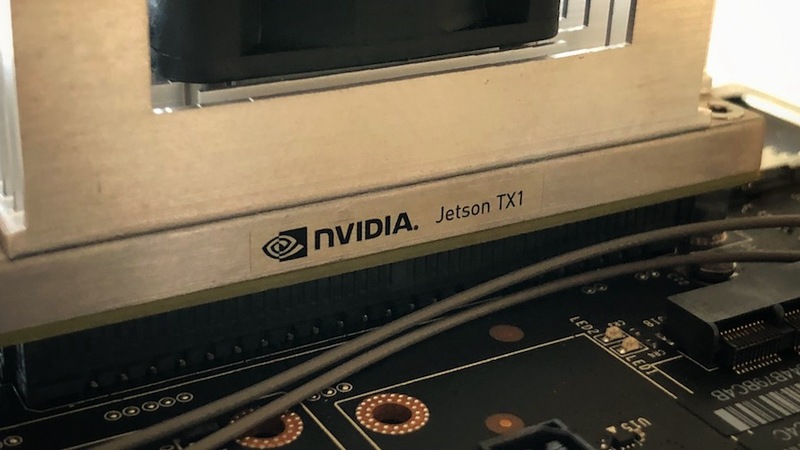 I'm talking about these Jetsons; The NVIDIA Jetson TX1 and Jetson TX2 (read more about them here). 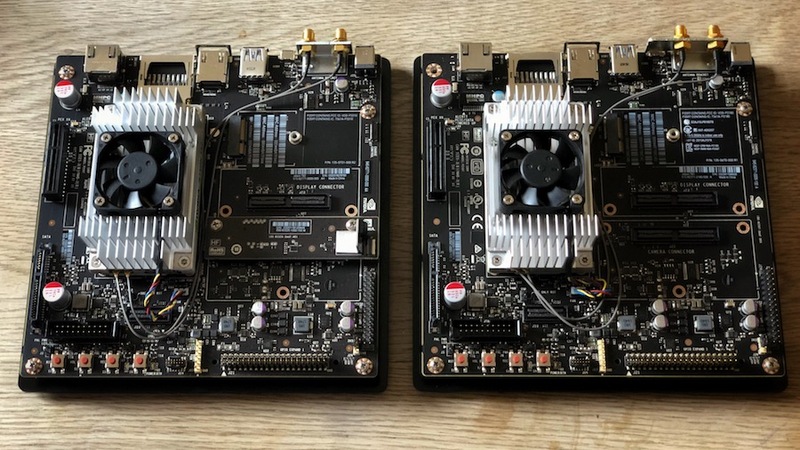 The Jetson TX1 and TX2 Developer Kits feature the same board and perform the same function with the TX2 Module being more advanced than the TX1 making it more powerful and more suitable for different types of Artificial Intelligence applications. You may have spotted that the board on the right looks different as it's missing a module on the right-hand side. The TX1 we have is the TX1 Developer Kit SE which is the same as the full TX1 Developer Kit minus the integrated camera module and the USB cable which we don't need. Other than this; it's the same board. This AI supercomputer features NVIDIA Maxwell™ architecture, 256 NVIDIA CUDA® cores, 64-bit CPUs, and a power-efficient design. 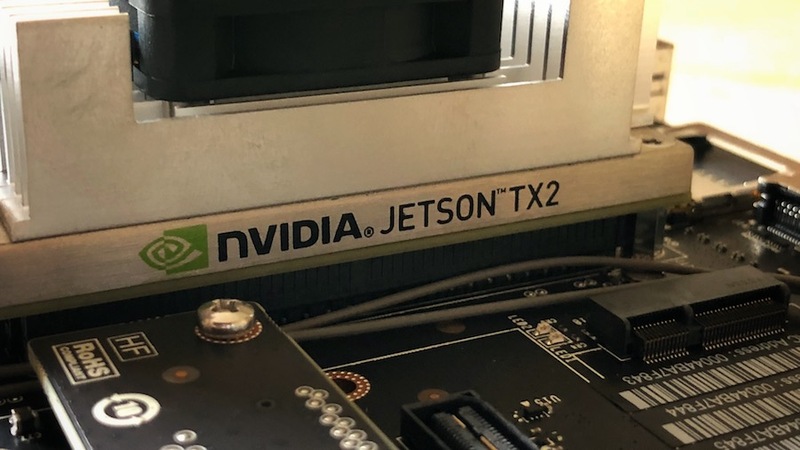 Plus, it includes the latest technology for deep learning, computer vision, GPU computing, and graphics—making it ideal for embedded AI computing. Well; we bought the TX2 Developer Kit for our InMoov robot that we're building and now heavily modifying (read more here). Now that we're adding the Intel NUC we're really looking for more and more built-in power. Having the TX2 gives us the ability to offload the AI processes to dedicated and purpose built hardware which in turn, allows us to free up resources on the main machine for other tasks. The TX2 board will fit inside the chest of our InMoov with little modification, the removal of the Microsoft XBox Kinect Sensor will also free up a lot of space up front. This is going to be replaced with the Intel RealSense Camera that's incredibly small which will be fitted just below the neck. The TX1 will be used on a tracked robot that we've got in mind (more on that later); we'll probably swap the camera module onto this board as it's unlikely to be used on InMoov given we have two Hercules HD 720p cameras (which we may swap for our Logitech C920 1080p cameras) and the Intel RealSense.